La roche mère granitique est recouvertes par endroit par des schistes mais également par du sable et des sols calcaires. Notre vin provient en grande partie du sud de l'appellation sur les secteurs Côte Blonde et Coteau de Tupin. Notre volonté était en effet de rester sur des vins à la fois racés mais porter par l'élégance et la finesse. 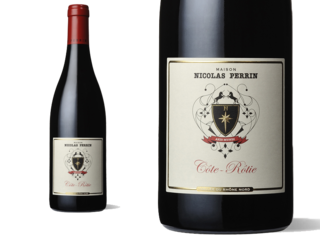 An impressive blend of 100% Syrah that was raised in 10% new French, Perrin’s 2013 Côte Rôtie has pretty, classy notes of black and blue fruits, violets and assort floral nuances, medium-bodied richness and a focused, elegant feel on the palate. It has light tannin, as well as an endearing, forward feel that should allow it to drink nicely on release. 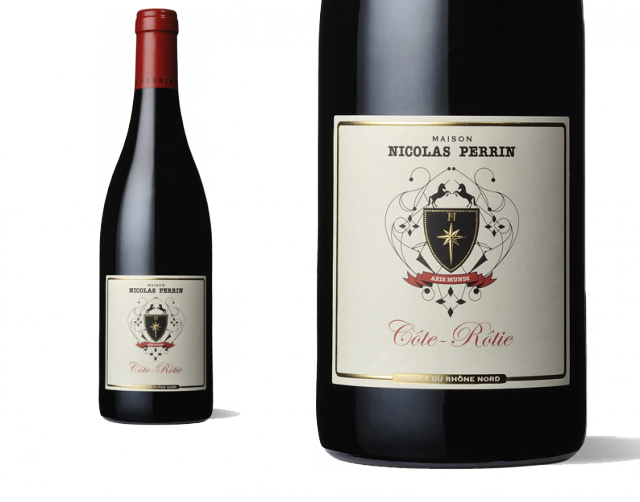 This collaboration between the Perrin Family (of Château Beaucastel) and Nicolas Jaboulet continues to churn out high-quality wines. This has ample grip for the vintage, with a streak of warm cast iron notes driving through the core of lightly steeped cherry, currant and plum fruit. Lightly singed alder details underscore the finish, with a sanguine hint echoing at the end. Rather low-key nose with lots of juice on the palate. Far from the more precise rendition of the appellation – a bit too sweet? But a friendly, fruity drink for the short to medium term.